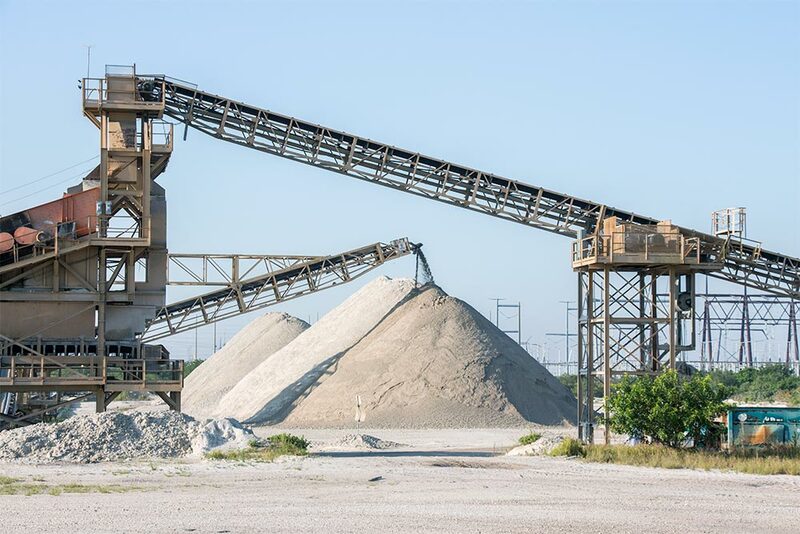 The aggregate mining process involves removing aggregate source materials from different depths of the earth's surface. The first eight to ten feet of material, called overburden, is removed using an excavator. The next 20 to 25 feet of excavation material is rock material consisting of coral limestone and limestone. This material is excavated by a dragline that removes the rock from a flooded quarry. 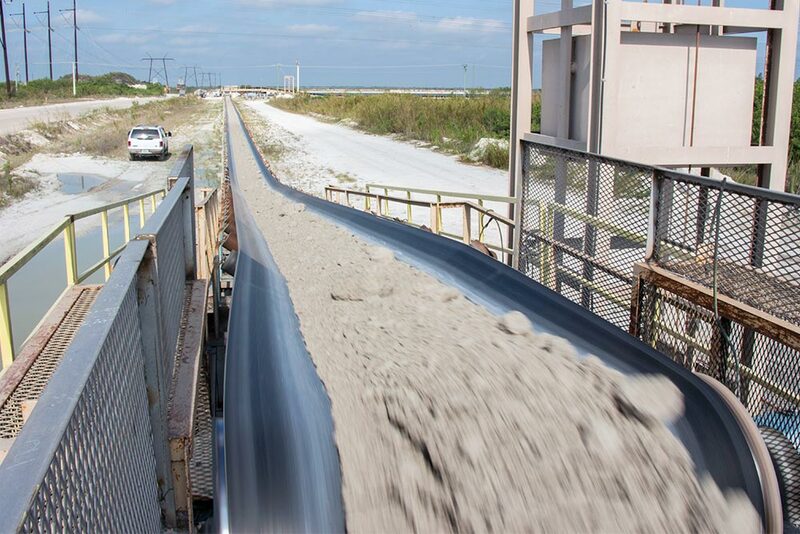 The excavated material is crushed for transport via conveyor belts for final processing into the different aggregate types needed. Overburden – This is the top eight to ten feet of material that is processed for fill material by the construction industry. This material is removed by large excavators. 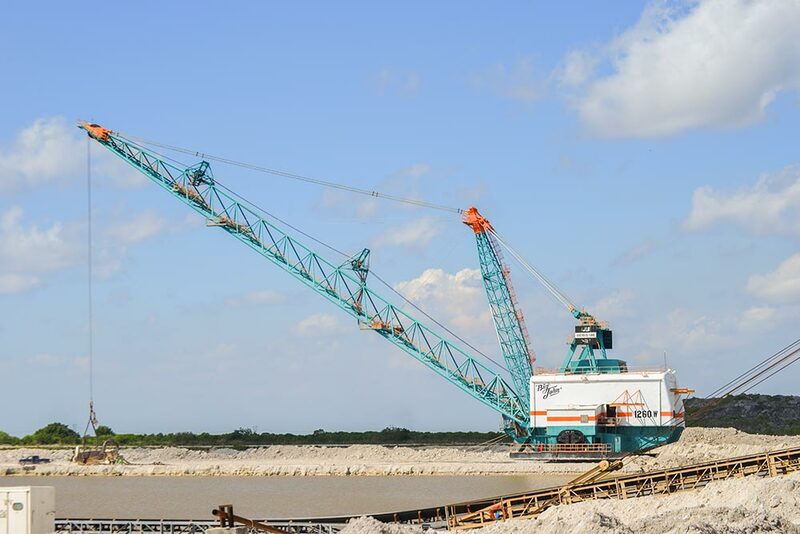 Rock – PBA uses a dragline process for rock excavation. 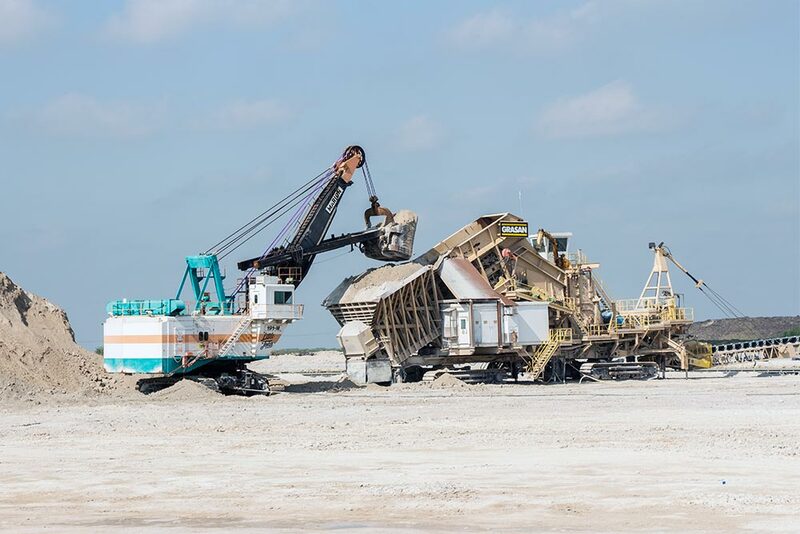 The dragline is outfitted with a 40-cubic-yard-capacity bucket that scoops up rock from a water-filled quarry and stockpiles it adjacent to the excavation site for crushing. After excavation, the rock is crushed for initial transport by a custom-designed Grasan 3,000-tph (tons per hour) impact crusher. The crushed rock is loaded for transport by a power shovel equipped with a 25-cubic-yard bucket. 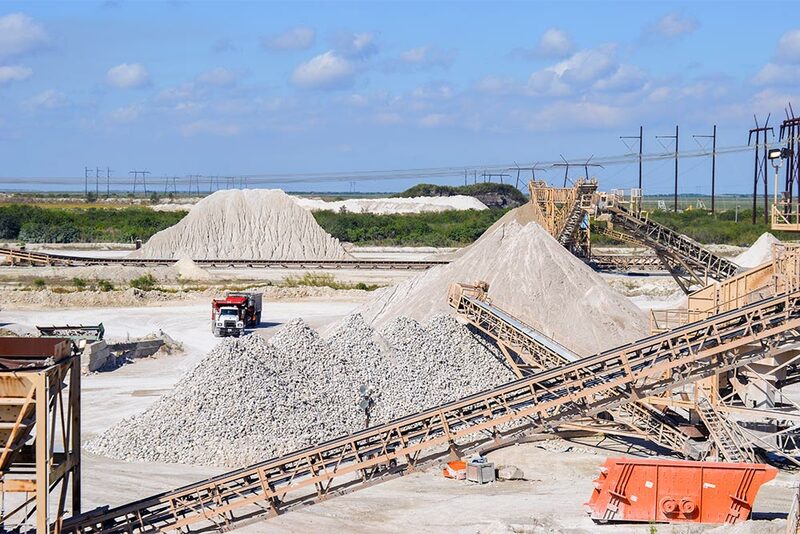 The rock is further crushed and screened at the processing plant to produce up to 14 different aggregate materials. PBA's screening equipment can produce eight different material specifications simultaneously. Visit our product page. 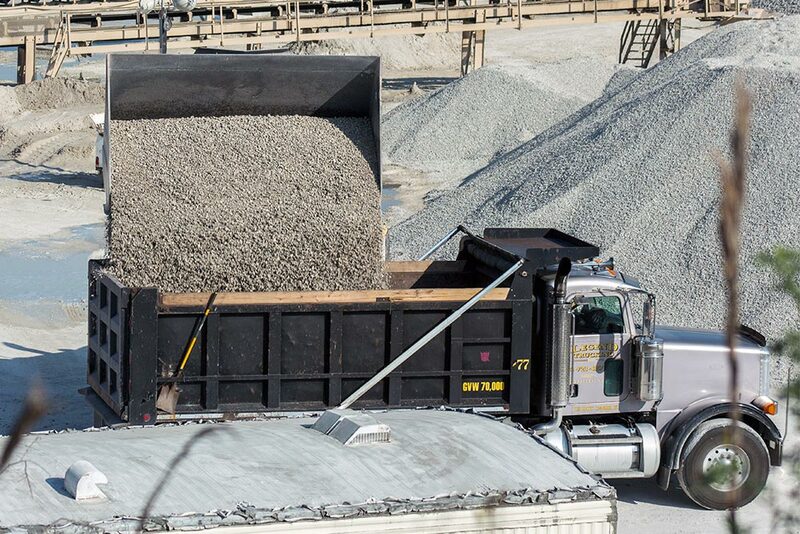 Using front-end loaders, materials are loaded onto Florida Department of Transportation (FDOT) -approved vehicles and transported for use in a variety of construction industry processes, such as fill, road material and paving aggregates. PBA's dragline, crusher, beltline and material processing plant are all electric powered, producing a low carbon footprint. Recharge the groundwater system and serve as a public water supply. 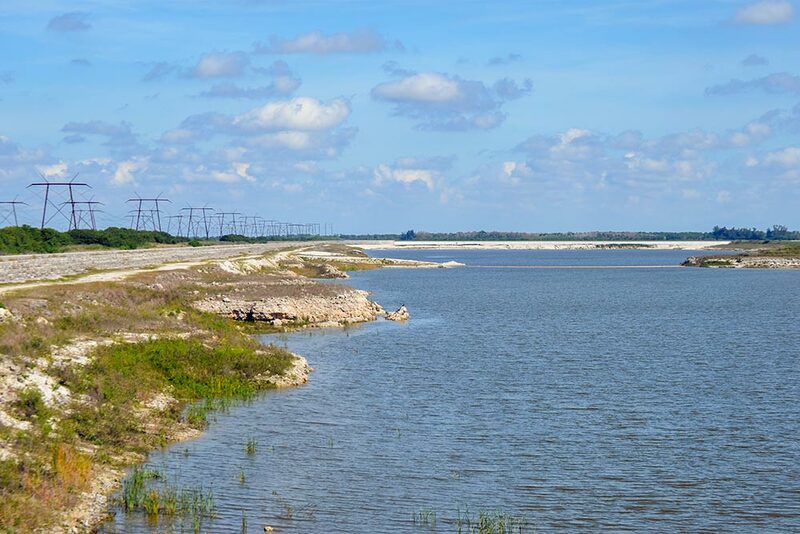 Store fresh water that would otherwise flow into the Lake Worth Lagoon estuary. Provide storage to assist in flood control and Everglades restoration.